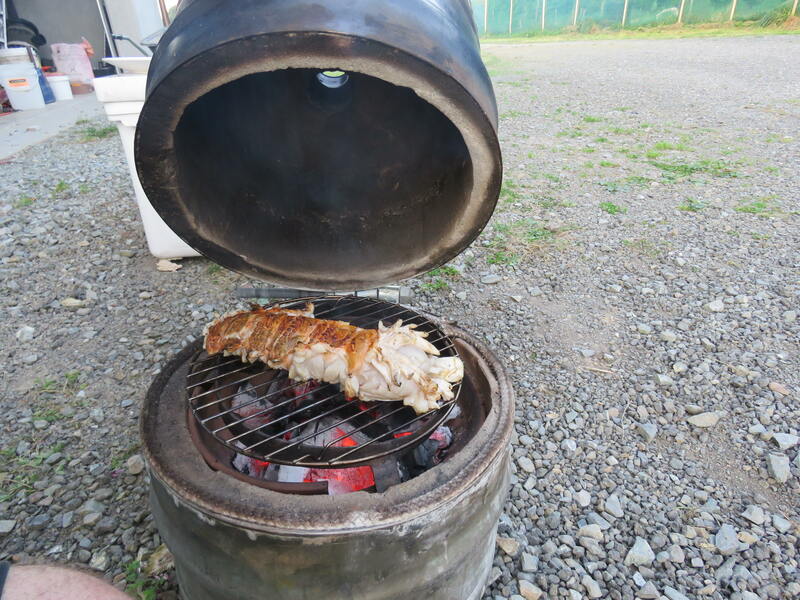 I wanted one of those big green egg bbq's but my scottish heritage didnt want to pay $1800 bucks for one so i had a go at making one. works real well, gets up over 400 degrees, and will sit at 200 degrees for hours without any stoking or adjusting. it is slightly small though, couldnt do a whole leg of lamb. Wildman, nor-west, kiwijames and 7 others like this. that would work well tommy,but the lid will be bloody heavy. my small one is around 20 kg. you would need to have some kind of small hoist to lift it or something. kiwijames and Dawg like this. Can you show us the grate etc? I might know where to get a keg or two..
ill get some more photos. If you know where to get a keg or two please let me know first before they are butchered! inglishill are you the still maker ? i used fire cement. 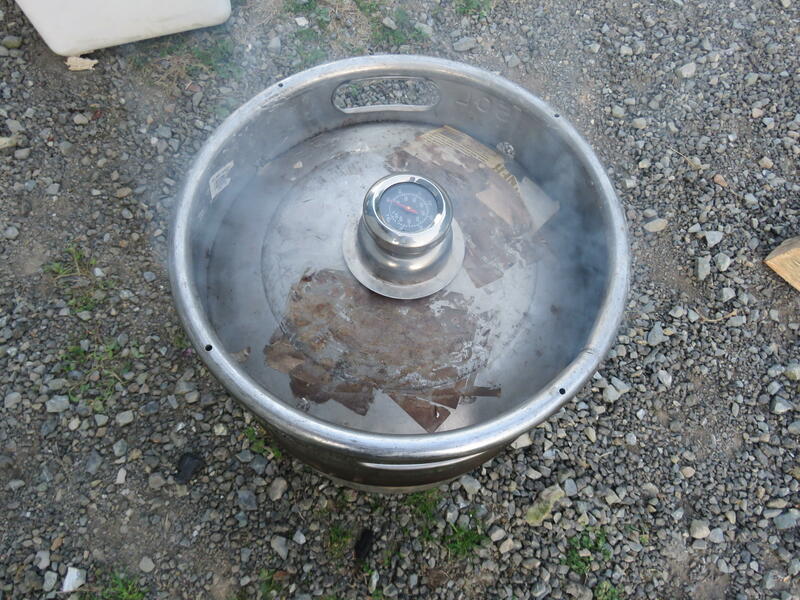 its got a vent at the bottom and another at the top,and the fire is up in a bowl so it gets air all around it. Swappzee's? Weaver style rails for barrel clamp weaver style mount?? ?